Durango offers numerous locations to find gear and accessories for all your outdoor adventures! Browse shops and locations for skiing, biking, rafting, boarding and more. Durango's favorite outdoor shop and outfitter. Featuring unique brands, demo/rental equipment and premium customer care. 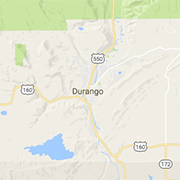 Durango's most flexible source for premier Polaris ATV, UTV, and Slingshot rentals. Delivering off-road adventures to you for 24-hour rentals. MWR, the pros since 1981! Family Rafting, Train Packages, Zip Line, High Adventure Rafting, Rock Climbing, 4x4 Tours! Since 1992, Pedal The Peaks has been Durango’s premiere bike shop offering countless rentals, pristine shop service, and dream bikes ready to buy.